The Syrian response to Sunday’s Israeli air strike on Damascus, which killed 42, was twofold. Beleagured President Bashar al-Assad announced that soldiers manning the country’s anti-aircraft batteries may now fire at will (the Baath Party system is slow because subalterns have to ask permission for every battle action, and initiative on the ground is usually discouraged.). Translation: Civilian airliners should now stay far from Syrian airspace, lest they be mistaken by trigger happy soldiers manning the anti-aircraft batteries for Israeli jets. Al-Assad also encouraged Palestinian guerrilla groups to attack Israel from Syrian soil (this is bluster). Syrian forces appear to have lobbed mortars into the Israeli-occupied Syrian Golan Heights in reprisal on Monday. 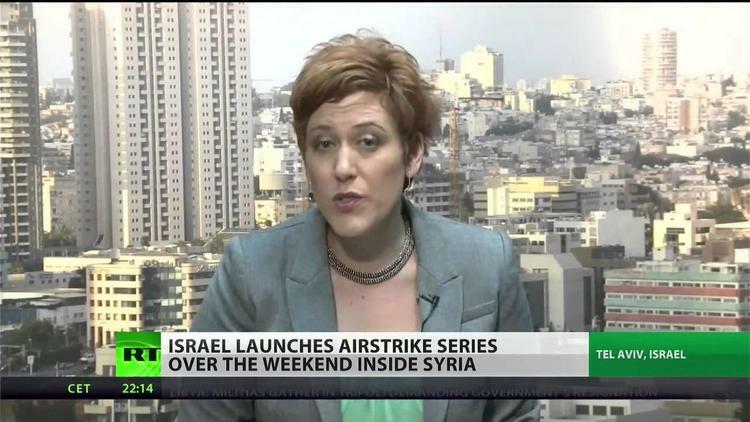 In my view, the Israeli strikes are opportunistic and tactical, not a game changer. Tel Aviv has long been frustrated that Iran supplies munitions to lebanon’s Hizbullah through Syria, but was stymied from doing much about it by Syria’s extensive air defenses. Now Syria’s army is distracted by the civil war, and the Israelis are taking advantage. Hence the Israeli military assurance that ‘there are no winds of war’ — i.e. no larger Israeli war against Syria is in the offing. Tehran Al-Alam Television in Arabic at 1808 GMT on 5 May reported that Major General Mas’ud Jazayeri, the assistant to the Chief of Staff of the Iranian Armed Forces, has condemned the recent Israeli strikes on locations inside Syria and denied that the sites contained weapons provided from Iran. Speaking in a 47-minute n interview with Al-Alam TV during its “From Tehran” program, Jazayeri said there was “no doubt about the Zionist entity’s aggressive trend” and added that “some countries in the region were (also) involved and one of these days will be held to account”. Speaking in Farsi with simultaneous Arabic translation, Jazayeri added that “unfortunately, there is a war between Arabs and Arabs, between Muslims and Muslims, under direction from the Americans and international Zionism”, adding that this was specifically occurring in Syria. He added: “Currently our region is unfortunately facing the largest kind of governmental terrorism in history”, saying that “the leader of this terrorism is the USA”. Asked what the reaction to the strikes might be and if it may come from Hezbollah or the Syrian army, Jazayeri said that “the resistance (reference to groups such as Hezbollah and Hamas) will not allow the progression of the Zionist entity in the region”. On regional differences, Jazayeri said that in Syria “we are not seeing a war between the Sunnis and Shiites; there are groups that in reality are not Sunni, or Shiite, or even Muslim”. Jazayeri added that the US was now “stepping into this position,” before continuing to sharply criticize some regional states and accusing them of allying themselves with Israel and the US.